Another from my favorite place to visit and paint, San Lorenzo Market, Florence. Another suave man on his on path and direction. 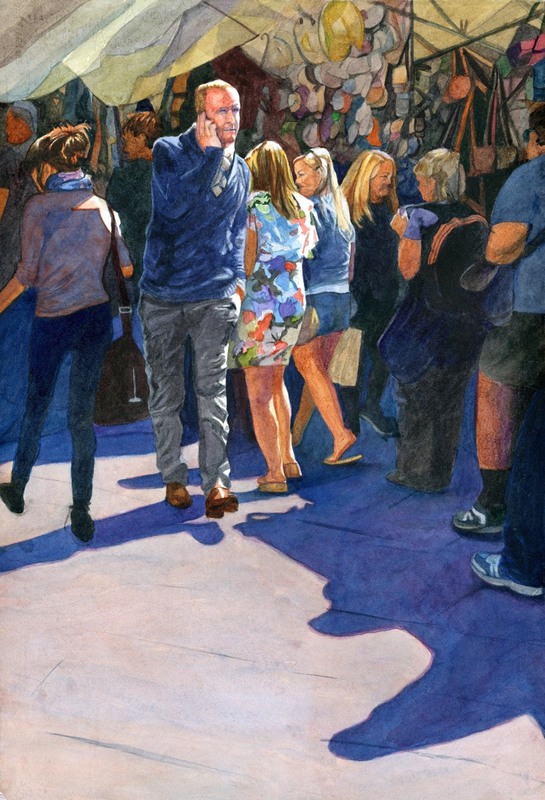 Oblivious to everyone around him, he is highlighted by the sunlight, surrounded and contrasted by brilliant color. As most usual the palette is blue and orange with a graphic quality.